In a world that is more social than ever, and interconnectedness is transforming how we do everything from managing our personal lives, to pursuing our professional goals to exploring new hobbies and passions our world is calling for a spirituality that matches that interconnectivity and focuses more on “we” than “me. Evolutionary Relationships answers that call. 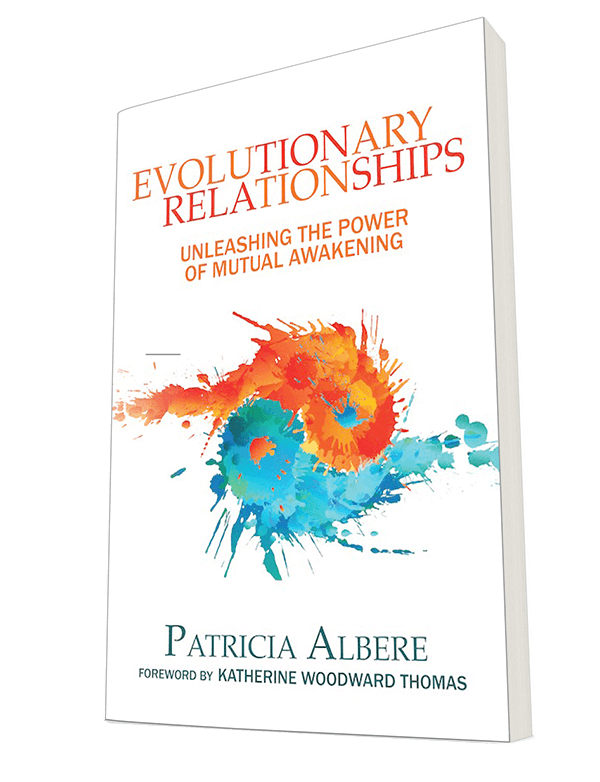 Patricia Albere draws on more than four decades of teaching work to answer this call and introduce a new spirituality called “mutual awakening” that you can explore with a friend, lover, spouse, or partner. With practices to guide you and lessons to inspire you, this book will support you to become more available to yourself, your partner, and our world. What Is An “Evolutionary Relationship? Life is defined by relationships—we’re deeply social creatures. But not all relationships are created equal. An “Evolutionary Relationship” is one that drives us, challenges us, compels us to grow and evolve. 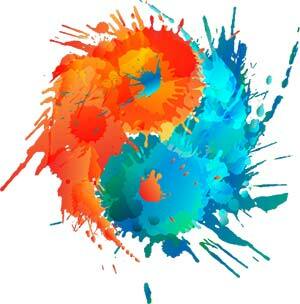 It is a consciously created connection that is formed between two or more people who mutually commit to explore and develop higher states of perception and awareness together. This book will show you how to find and amplify the “evolutionary relationships” in your own life. Perhaps more importantly, it will show you how to transform any committed relationship—whether with a spouse, a lover, a partner, a close friend, or family member—into a dynamic engine for mutual evolution. In the same way personal computers and smartphones opened vast new realms, Patricia’s work reveals new forms of relating. 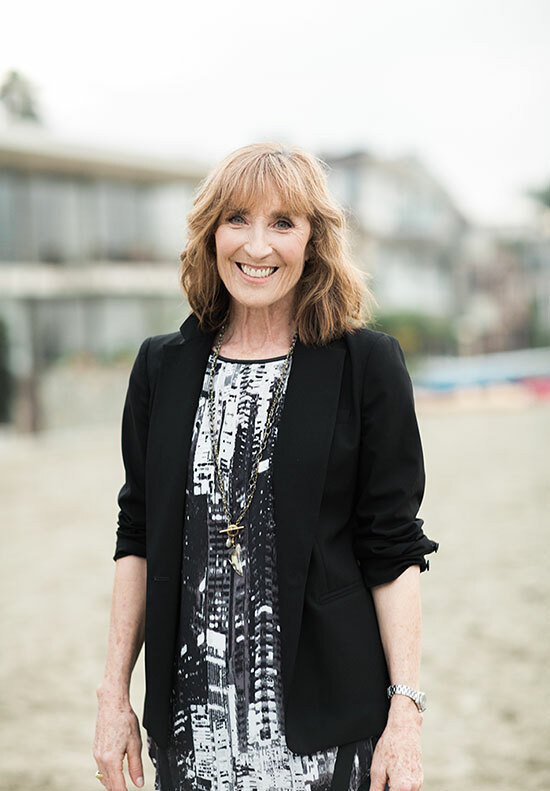 At the core of the book is Patricia's practice of "Mutual Awakening," which is a new kind of spirituality in which individuals gain direct access to a shared consciousness that is living between them. 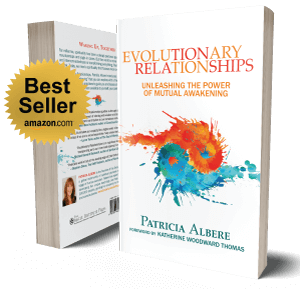 The book is centered around an in-depth exploration of Patricia’s 8 Activating Principles of Mutual Awakening. A genuine interest in what happens within the relationship. Saying “yes” to being fully connected. Dedication to each other and to the relationship, expressed as a willingness to “stay on the inside” even if something is not working. A shared love of truth and transparency, and a desire to explore reality openly together. The ability to generate trust together (even while knowing that we inevitably will disappoint each other), and a willingness to allow this field of mutual trust to restore a more universal trust in life itself. A presence and availability for whatever arises in the moment, which allows the field of the relationship to offer all of its possibilities. Embracing the distinct dimensions of each other’s identity that allows your relatedness to flower. Authentic essential autonomy is developed and strengthened inside the sacred communion of the relationship. A deep respect for each person’s essential, unique being that touches each person’s soul outside the boundaries of the personality. The desire to positively affect each other. This sacred intent creates a field of sensitivity and responsibility that allows the relationship to thrive on multiple levels and dimensions. While Evolutionary Relationships will help you to develop a profound new level of depth to your life and relationships, it will also give you direct access to a new kind of consciousness. Drawing on the cutting edge work of esteemed developmental psychologists such as Abraham Maslow, Dr. David Hawkins, and Robert Kegan, Albere shows you how “mutual awakening” is part of a new movement in spiritual exploration and human development in which you see your own personal development in a much larger, cosmic context. — The kind of intimacy we have been starving for our whole lives. — Fresh, compelling, and above all hopeful. In the world of spiritual enlightenment, people who have experienced awakenings almost always experience them individually – eyes shut, in quiet solitude. The spiritual paradigm of the last three thousand years has been singularly devoted to our individual salvation or solo enlightenment. Patricia Albere, uniquely experienced a sustained awakening that resulted in a different kind of realization, a dual realization that happened with another. That shared awakening points to a new dimension of consciousness and an extraordinary possibility for humanity’s future. The consciousness mirrors the discoveries of quantum physics, and some have called the awakening, unilocal realization. Patricia is perfectly positioned to bring forth the transmission, practices and perspectives that will allow us to awaken into shared unity together. Her work creates a powerful and palpable field of shared consciousness and love that reveals previously unimagined human potentials that can move humanity far beyond the limits of personal growth or self-development and into mutual awakening.